In addition to 20 years experience as a Patent Attorney/Agent, Ed has a PhD In Polymer Science and a BS in Materials Science from Northwestern. He has also prepared and prosecuted patents in a wide variety of other fields: Thin Film and Semiconductor Processing, Image Processing and Display Technology, Personal Care Products, Medical Devices and Diagnostics, Instrumentation and Optics, Electronic Packaging, Exercise Equipment and Sporting Goods, Chemical and Bio-Chemical Processes, Energy Generation and the IoT. Ed also provides clearance opinions, structures licenses and manages a WW IP portfolio as PT in house counsel, including… read more trademarks and trade dress registration. "My company has worked with Ed on literally dozens of patent applications over the past four years. We have always found his work to be of very high quality. Ed is a true professional and has proven that he can handle and understand highly technical and complex scientific information produced by our scientists. I highly recommend Ed's services as a patent attorney to any company that not only needs patent work done - but also needs someone who can think out of the box and advise them on how to best implement their patent strategy. 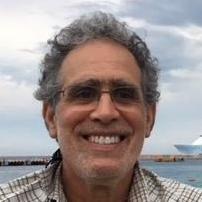 Ron Waldman"
""Ed is TRULY a gentleman and scholar! ... and quite the renaissance guy in his varied avocational pursuits. To work with him is always a delight. Beyond his expert command of patent law, Ed brings good business analytics to crafting overall intellectual property strategies. He is comfortable in both domestic and international venues and works very comfortably across cultures. Without reservation, Ed is an asset to our team." Murray Firestone"
I am also currently employed part time by this long term client as their in-house patent attorney, reporting to the VP and General Counsel, with responsibility for a WW patent and trademark portfolio, as well as managing outside patent counsel in patent prosecution, litigation and related patent and trademark office proceedings, advise all levels of the organization on IP matters. Law Office of Edward S. Sherman, Esq. While the primarily focus of this practice is in the preparation and prosecution of patent applications, I also provide trademark services, opine on the infringement and validity of patents, as well as advise and represent clients on trade secret matters and licensing transactions. My client base has included start ups and established manufacturers, as well as individual inventors. Patent Agent advising scientists, engineers and managers in identifying and protecting IP through all phases of the product development cycle; including preparing and prosecuting patent applications, clearance and validity opinions, structuring licensing joint development programs, stewarding a business focused IP review process. Other positions included licensing, product development and R&D. Senior Scientist in Corporate Research Dept.